Jacksonville, FL – Frost Weaver and Josh Koerner, of Weaver Realty Group, are pleased to announce the sale of a new self-storage development site inside the highly anticipated Ravaudage Complex in Winter Park, FL. The 1.05-acre site sold on October 17, 2017 for $3,550,000. 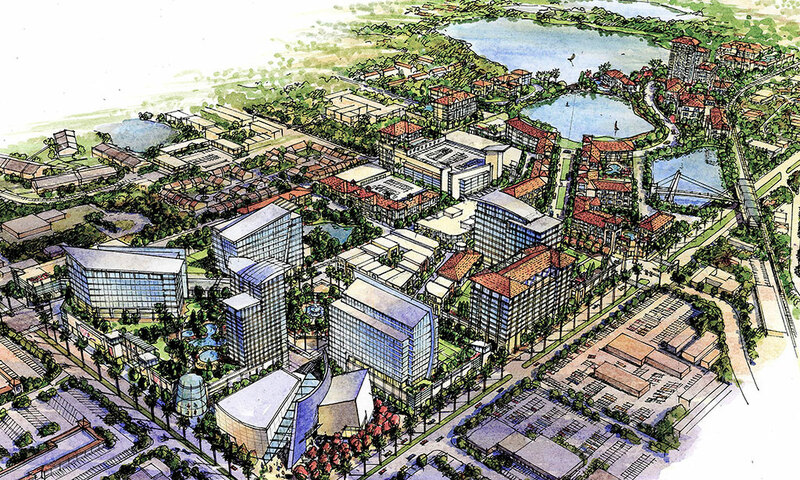 The Ravaudage Complex (Developed by the Sydgan Corporation) is Winter Park’s largest mixed-use development site of 73 acres, and could be the largest urban infill project proposed along Florida’s new commuter rail system. The site will include a variety of uses to include multi-family, hotels, office/medical, dense retail, and now the 97,000 sf multi-level self storage facility, with a first level restaurant and retail stores. According to Ben Vestal, President of the Argus Self Storage Sales Network, “This is the most expensive and unique development site that Argus has been a part of.” Development of the multi-level storage facility will start immediately and will carry the CubeSmart branding. Josh Koerner, an associate at Weaver Realty, reflects on the acquisition; “It’s exciting to see the benefits of combining a national real estate sales organization like Argus, with the experience and knowledge of a local broker. This combination helped us put this deal together, when other national groups could not.” When asked about his experience working with Weaver Realty Group, Dan Bellow, President of the Sydgan Corporation said “From initiating the formal introduction to bringing the deal over the finish line, Weaver Realty was professional and thorough”.